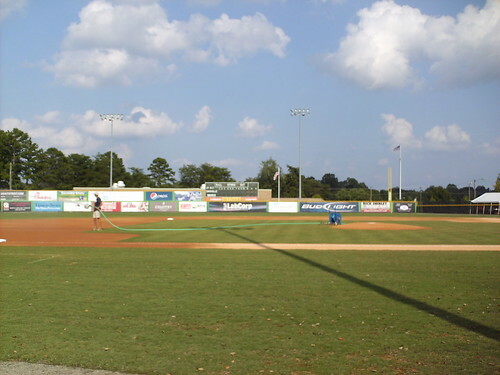 The view from behind home plate at Burlington Athletic Stadium. 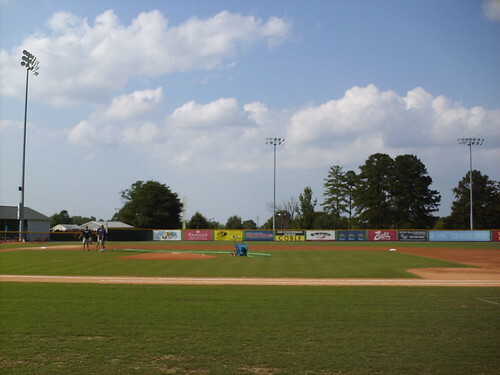 The view from down the third base line, looking toward the scoreboard in right field. 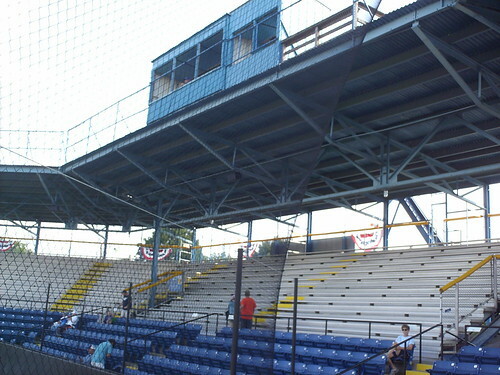 The grandstand at Burlington Athletic Stadium. 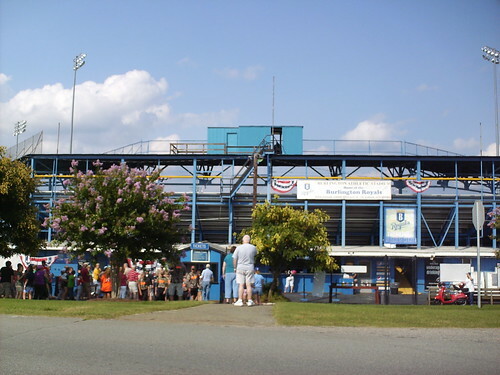 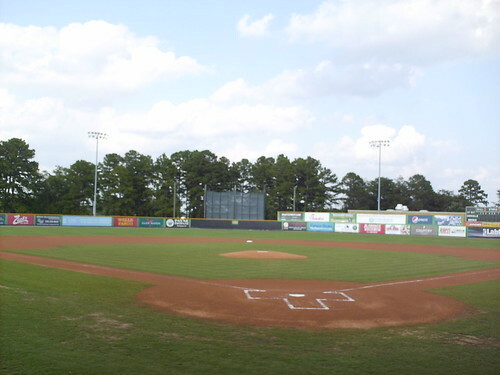 The grandstand structure originally stood 55 miles in Danville, Virginia, as home of the Carolina League Danville Leafs, and was dismantled and reassembled in Burlington after 1958. 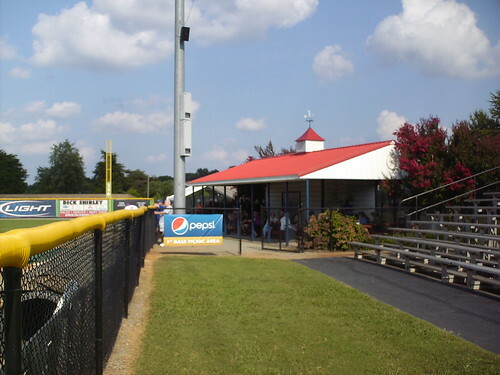 The roof and the rooftop pressbox are part of the original Danville-based structure, but the aluminum seating has replaced the old wooden seats. 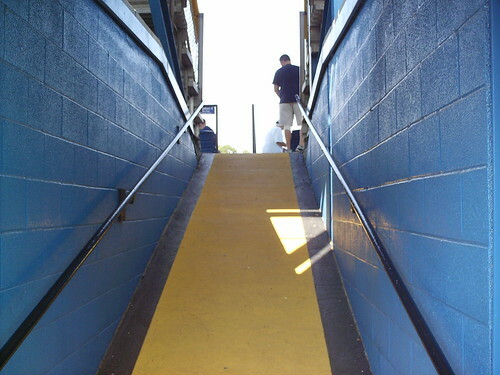 One of the steep concrete ramps leading from the concourse to the seating area. 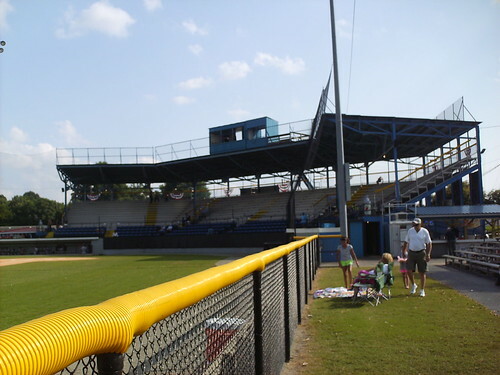 Bleacher seating runs along the third base line from the grandstand to the clubhouse. 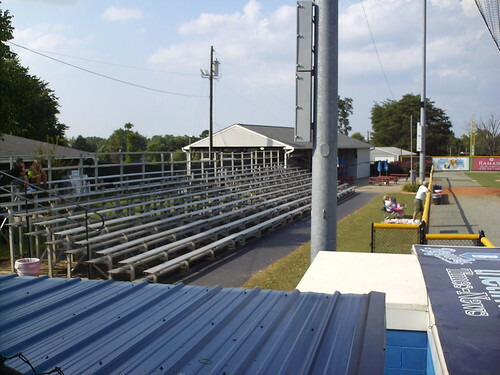 Bleachers run along the first base side as well, leading to a covered picnic area in the right field corner. 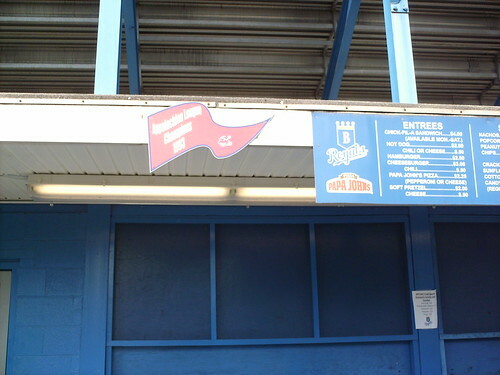 The team displays its championship banners where fans are likely to see them, right next to the concession menu. 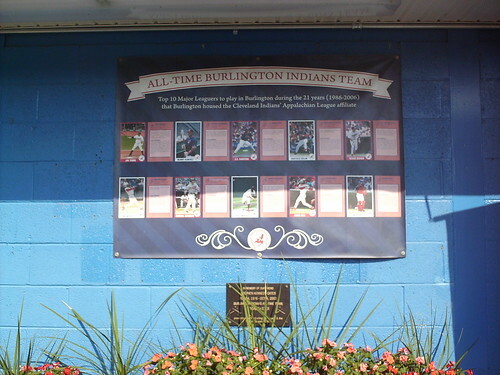 The team celebrates its best players and long-time affiliation with a banner recognizing the all-time Burlington Indians team. 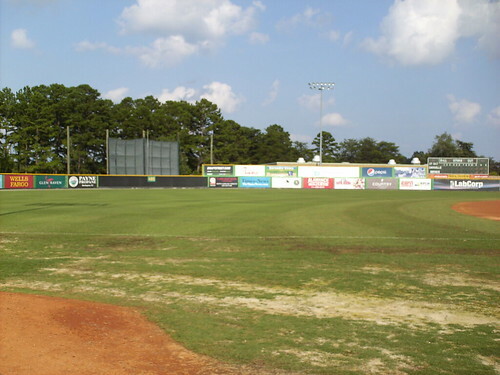 The outfield fence rises in height right after the batter's eye in right center field, before dropping back to its regular height at the scoreboard. 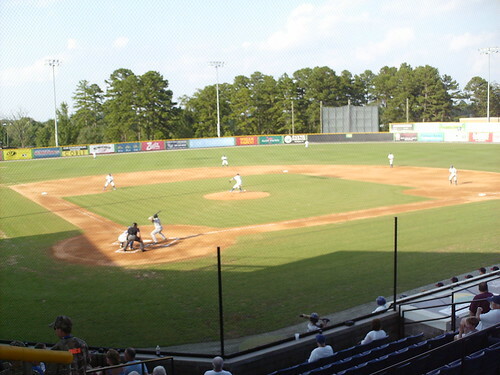 The Burlington Royals on the field during a game at Burlington Athletic Stadium.